MOSCOW (Sputnik) - Militants shelled a district in Aleppo in the past 24 hours, killing six civilians and five Syrian troops, the Russian Defence Ministry's Center for Syrian Reconciliation said on Monday. Earlier in the day, Aleppo came under attack from mortar shelling by terrorists, killing at least two and injuring seven more civilians in the area. Previously, the Syrian Arab News Agency (SANA) reported that there had been "Israeli air aggression on the Sheikh Najar region in Aleppo's northeastern countryside" on late Wednesday, inflicting some damage on the area. During brutal street fighting for control of the city, terrorists managed to blow up a portion of the ancient UNESCO Heritage Site, with the ancient castle structure helping to defend Syrian troops besieged by jihadists in neighbouring areas for years on end before Aleppo was finally completely liberated in late 2016. 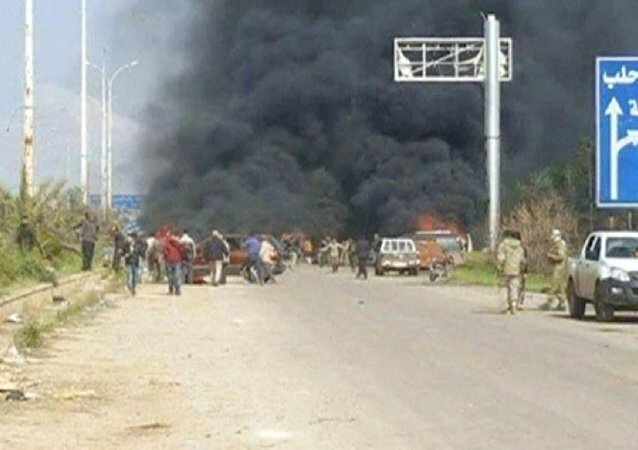 Previously, media reported that a sniper had attacked both military and civilians in az-Zahraa, a small town located northwest of Aleppo, while militants in Al-Rashidin had carried out mortar shellings. 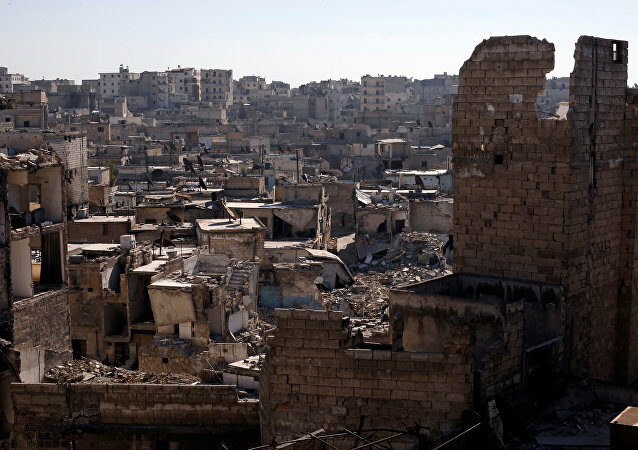 MOSCOW (Sputnik) - At least one civilian was killed and three others injured after terrorists shelled neighbourhoods in the city of Aleppo in northwestern Syria, the SANA news agency reported Tuesday. MOSCOW (Sputnik) - Militants operating in Syria's Idlib de-escalation zone shelled four settlements in Hama and Aleppo provinces over the past 24 hours, the Russian Defense Ministry's Center for Reconciliation in Syria said on Saturday. British politicians have often been taken to task for their less-than-politically-correct comments about developing countries, including in 1985 when Conservative MP for Plymouth, Alan Clark, allegedly called an African nation “Bongo Bongo land”. MANBIJ (Syria) (Sputnik) - The military police of the Russian Armed Forces began patrolling the territory in the Manbij area in the Syrian province of Aleppo near the Turkish border, the police's spokesman Yusup Mamatov told reporters. DAMASCUS (Sputnik) - At least two civilians were injured on Monday in the Syrian city of Muhhradah, Aleppo province, as a result of a sudden mortar attack carried out by terrorists, Syrian Arab News Agency reported. MOSCOW (Sputnik) - Three Syrian soldiers were killed, and another nine were injured due to the shelling by terrorists in the Syrian province of Aleppo and the city of the same name, as violations of the ceasefire by illegal armed groups continued, Russian military reported.